July was such a ravishing month full of happy smiles and days and I was a bit sad of letting it go already but August started in the best way as possible and I’m excited about what it has to bring with it. In July I had only a few moments to sit down and write something for this online space of mine, but I can’t regret it as I was able to switch my technology off for a few days and simply enjoy the company of who I had around – and it was pretty nice. A few exciting things happened in July, first of all I was able to spend a complete week cohabiting with my boyfriend for the first time and it was such a blessing to us since we live a LDR and it’s super difficult for us to have a long time together. Also, my blog has had a complete makeover as you can see, and I’m super happy about how it came out and with the new brand. It really reflects my personality and what I want this space to be, but you can read more about it in my Blog Rebranding feature. Then, me and my boyfriend had our first anniversary in July (as you may have read here) and it was such a lovely day that we had to document it all, so you can find our picture in my Anniversary Day post. Beauty-wise I wrote about my Summer Makeup Of Choice at the beginning of the month and I wore those few products all month long (seriously) being that I’m not in the mood of wearing way too much makeup when it’s hot and my skin is a sticky oily mess. I also wrote a long list of products I like to carry with me when travelling with a few packing advices that may can come useful to some of you who is going to have a proper holiday soon. But if you’re curious about a few other skincare, body and makeup products I’m loving recently, you can check out last month’s Monthly Favourites! 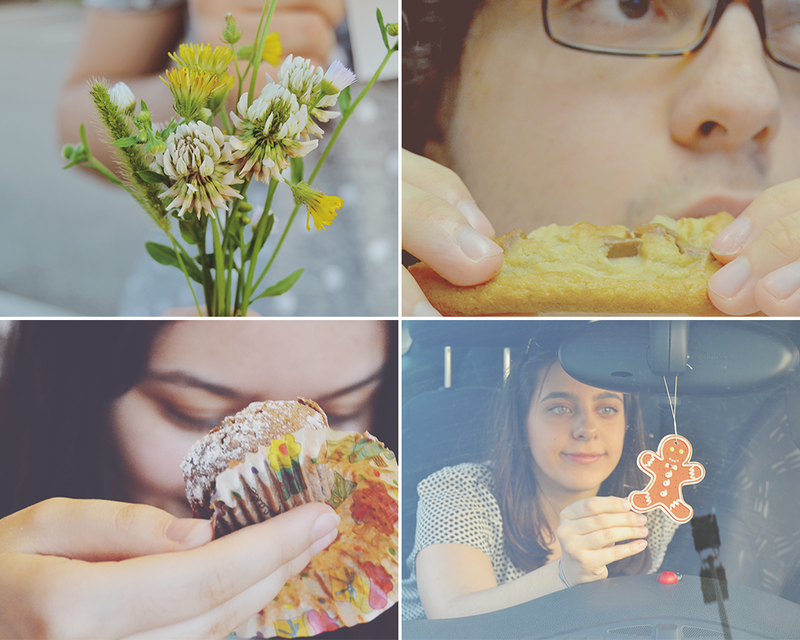 Food glorious food, July was all about it: we enjoyed cooking and baking a lot in our week living by our own and we documented it all in the second Food Diary post (which is mouthwatering, I know! Should have named it #foodporn). We had some lovely cakes and cookies, a homemade frappuccino for breakfast, a lovely dinner (with a movie right afterward) and, being that it was my sister’s birthday in July, I also baked her favourite and most delicious nutella muffins (that came with a DIY printable freebie, so check that post out!). You may also want to check out: my last month’s personal Mini Goals & my Garden Tour with lots of flowers (and a huge strawberry!). What were you up to in July? That’s nice that you got to spend a week with you bf. LDR can be hard but in the end you’ll get to be together!